Calibration and Buffer Solutions for TDS, pH, and ORP Testers | Applied Membranes Inc.
Conductivity Standard Solutions and pH Buffers are used for factory calibration of water quality testers. 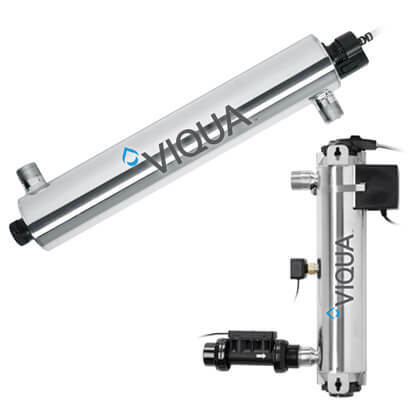 Regular use of these solutions is recommended to ensure specified instrument accuracy. Frequency of conductivity recalibration depends upon use, but once every month should be sufficient for an instrument used daily. pH models, depending upon use, should be recalibrated with pH 7 Buffer every 1-2 weeks, and checked with pH 4 and/or 10 Buffers at similar intervals. 442 Natural Water™ Standard Solution is NIST Traceable and is used in calibrating many test instruments. It is the best choice when measuring boiler and cooling water samples, city water supply, lakes, wells, etc. "442" refers to the combination of salts mixed with deionized water to comprise this standard: 40% sodium sulfate, 40% sodium bicarbonate, 20% sodium chloride. A combination of standard salts is necessary since natural water salt type and concentration can vary greatly by location. 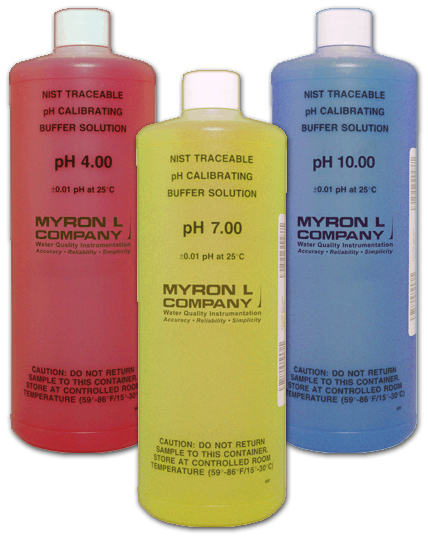 pH Buffer Solutions 4, 7 and 10 are mold inhibited and accurate to within + 0.01 pH units @ 25°C. 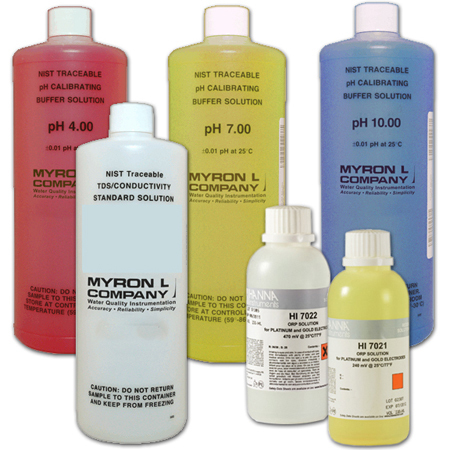 Myron L Buffers are traceable to NIST certified pH references and are color-coded for instant identification. ORP standard solutions allow you to test the precision of ORP electrodes. For example, by immersing the electrode in HI 7020 solution, you should read within the 200 to 275 mV range (@20°C/68°F). 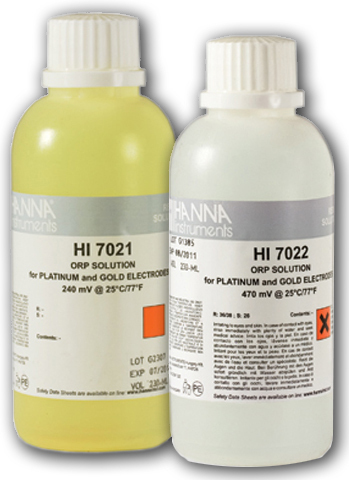 If the reading is outside the indicated interval, clean and condition your ORP electrode in HANNA® pretreatment solution.